Length To 20cm, with very long legs. 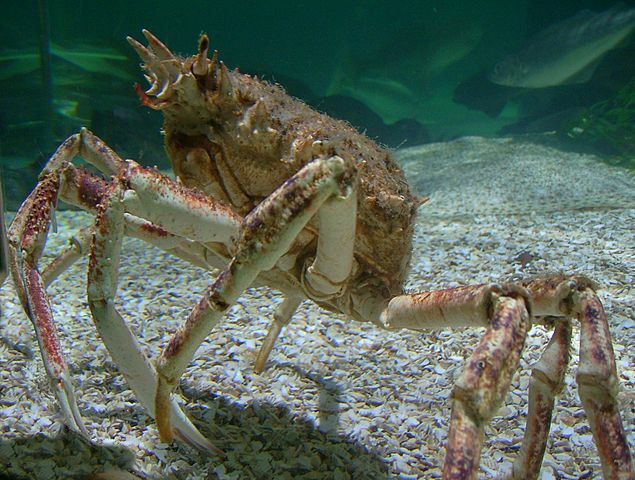 Has a eavily armoured body covered in short / strong spikes hence commonly known as the spiny spider crab.Key observations include eight long walking legs and two even longer clawed arms. 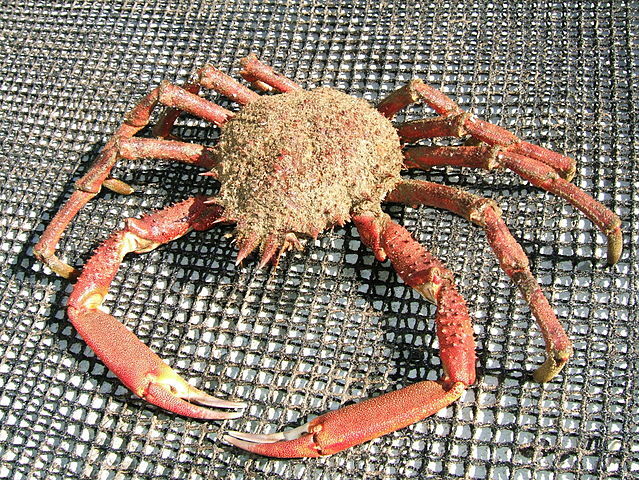 A knobbly, l slender crab with long jointed legs. Often disguised with sponges and seaweed and so is difficult to spot. Habiat Found along southern and western coasts. Located on coarse sand mixed grounds and bedrock on the open coast. Also in deep tide pools and shallow sub-littoral to 50 m.